Home Movies is an animated television show that ran for four seasons (1999-2004), jumping networks and finding a very devoted following. 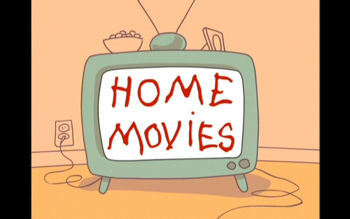 Home Movies originally aired on UPN and was cancelled after a few episodes, but Cartoon Network picked it up and ran it on their original lineup for Adult Swim. The show finished it's first season and was picked up for three more seasons. After the show was cancelled, much to the disappointment of both the show's creators and actors as well as the fans, dvd box sets were released with commentary and interviews. This was much appreciated, I can tell you! In 2009, a 10th anniversary box set was released including all four seasons, the music, and other extras that fans will love. When the show first aired in 1999, the animation was done in Squigglevision, which a couple of shows did during this time, namely Dr Katz. From the second season on, flash animation was used instead. The show was put together with a rough outline of what the plot would be, giving the actors room to improv and come up with a lot of the script. As a result a lot of the dialogue was so unique and very true to life, and the characters. 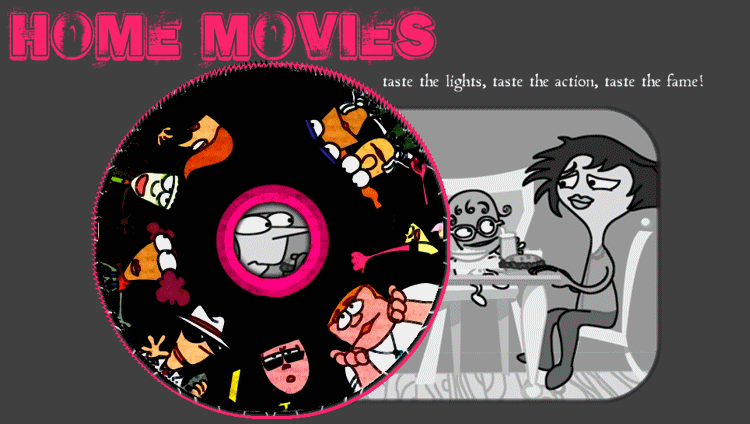 Home Movies used completely original music for all episodes written and performed by Brendon Small, series creator and lead character. Brendon Small is incredibly talented, both in acting and music. His songs were always entertaining and versatile. Fans were very happy to see a soundtrack included in the fourth season box set. All in all, Home Movies was in a class by itself. It's content was like nothing else out there, and the level of intellect and humor was something you had to pay attention to, not just something slapstick, so it was a thinking person's show. And I truly loved it, it was amazing, I was sorry to see it go.